I have chosen "Block popup windows" in Safari's security tab, yet there are a couple of sites for work that still use popups for login etc. Is there a way to add exceptions (in advanced settings or directly in the plist file perhaps?) Or maybe via a Safari extension? Select "Settings for This Website..."
Select "Allow" under "Pop-up Windows"
There isn't any exception list for popups in Safari. It's an "all-or-nothing" approach for now. 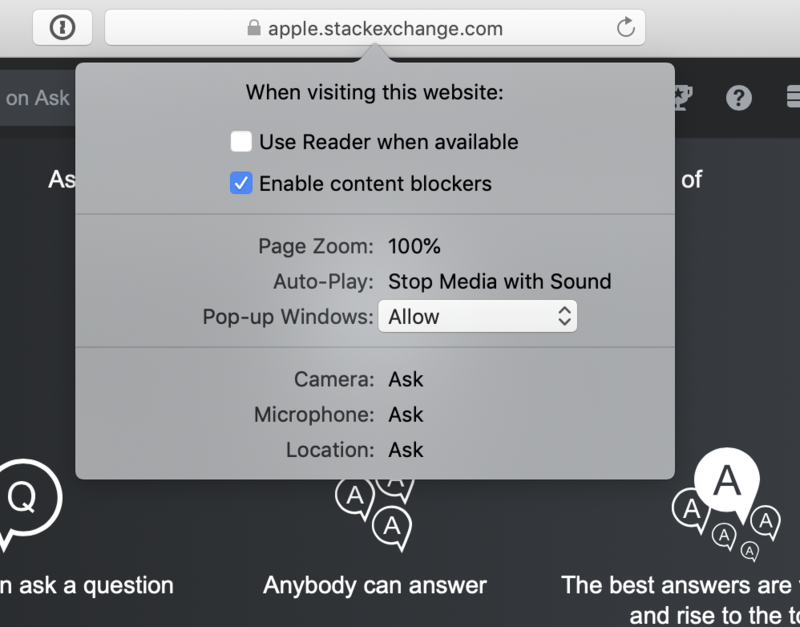 How do I see site blocked from Safari's Top Sites?